The king who gained the throne of Mraukoo in 1494 AD, was Thein Ga Thu. At his reign of 7 years, he built a great pagoda as a customary good deed of the kings in the north-west of the palace site. The pagoda was called Tayzarama pagoda in reference to the name of the monk because it was built near the monastery of monk Tay Za Ra Ma, the head of the monk order. The pagoda is conical in structure. There are four porches in the second and the third terraces. Both sides of each porch have small pagodas in the form of Mahaboddhi temple. 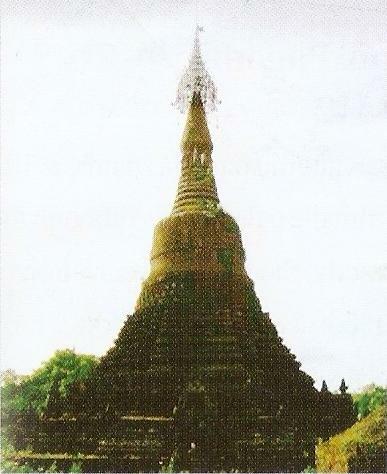 The pagoda was renovated by king Na Ra Pa Ti and king San Da Vi Za Ya. There is a particular stone cave built separately in the east of the pagoda. The ogre stone sculpture at the porch of the cave, is artistic. 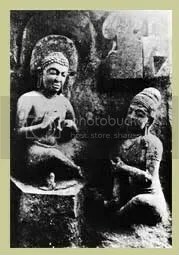 A stone Buddha image is in the cave. At the south of the pagoda, the list of the farms donated for the image, was inscribed in the cave. There are four stone inscriptions. Nowadays, the pagoda board of trustee takes care of it.